My mind is cast to times and places and memories of warmth. Brought by travel and wander and wonder. I remember when I first discovered Matcha in Paris. Fascinated by its green colour, I salted, macaroned, baked. All in a fit to bring some Japan to me. And so, when passing time at the airport in Geneva in late September, I happened upon a teashop where I made it my personal business to leave with a Matcha whisk. 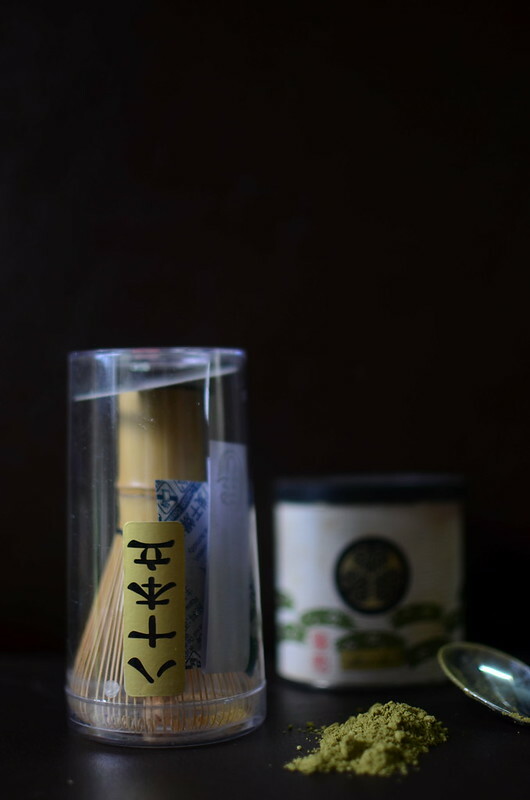 Spurred on by the beautiful feature in Cereal magazine on Matcha, Japan and tea ceremonies. Perfect for a light, frothy cup of green tea. Someday I’ll whisk a Matcha latte, and curl up on the sofa. I’ll dream of blossoms and rice. A wonderful visit to my dearest friend M in Brighton, back in September where she spoiled me silly with authentic Chinese food, learned and loved in her year of travels. 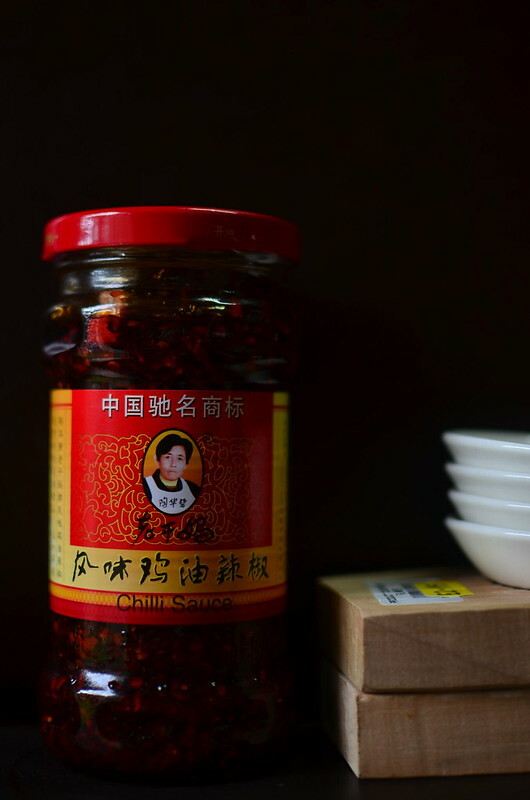 She served this amazing chili sauce that’s crunch, and heat and bite, rolled in one. 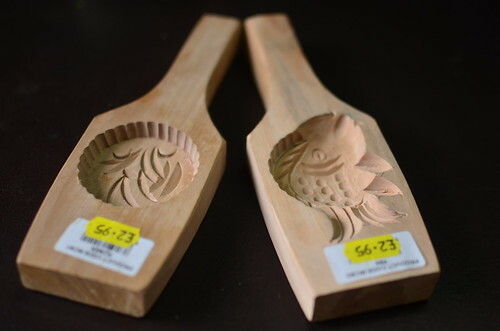 She took me to Yum Yum on Sydney Street – one of her favourite oriental stores and I got these mooncake paddles….pray tell me when I’ll make a mooncake. But I got 2 anyways. 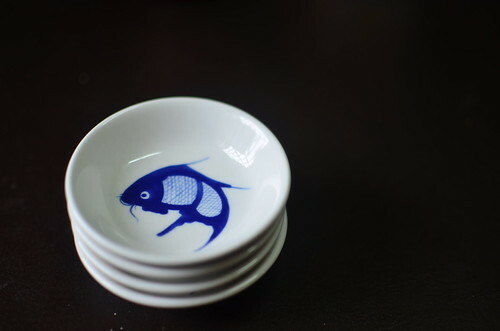 I got these beautiful, tiny bowls/saucers….cause I love every sort of deep blue from indigo to cobalt and beyond. And though I can’t get over the fact that I haven’t been to Asia yet, I am thankful my little sister has. 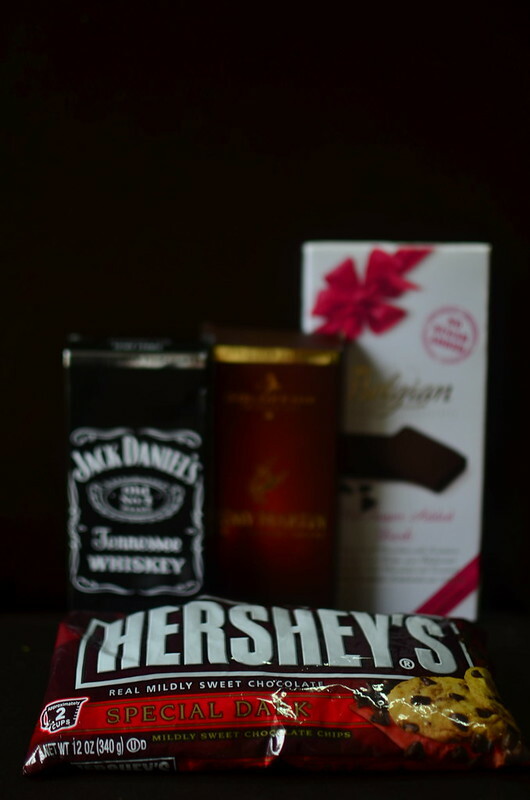 She spent 10 days in Singapore and brought me back a few of her favourite things. 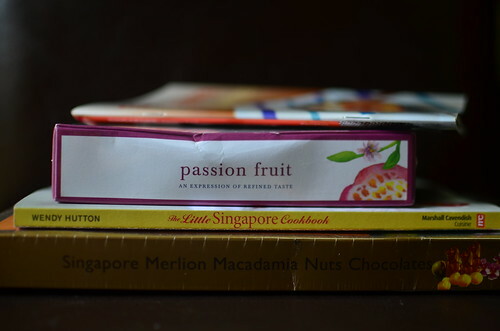 Passionfruit tea, cookbooks…. and chocolate. Some eaten. Some not. Some rolled into chocolate chip cookies. 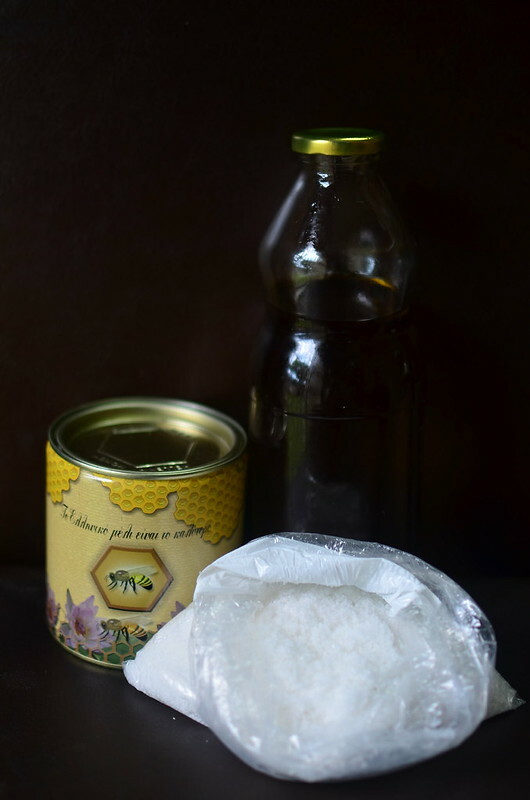 Some waiting…. Back in July, I spent a delightful weekend in Welwyn Garden City in the south of the UK, with friends of my Dad’s. 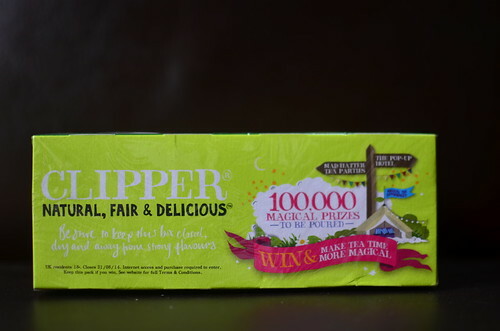 They spoiled me silly with cup after cup of this fine tea, which nursed me back to health considering the nasty hay fever I had. I’ve since made it a point of duty to stock up on it. For obvious reason. You know we love our maple in these parts. 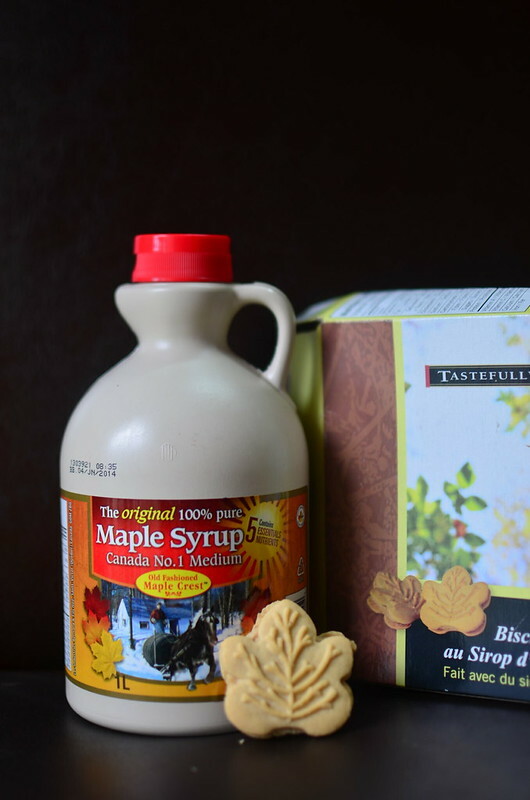 These were gifts from my boss who lives in Canada part of the year and brings me 3 or 4 bottles of maple syrup every year , and my BFF, B who just moved there…and sent me a taste of her new home. Making me pine. And pout. And despair. The trio of Greek gifts comes from my friend and former neighbour in The Netherlands. Borne home with wonderful memories. Thank you C.
The rains continue, as I write, and reminisce on summer times and warmer climes. My Favourite Things – Spotlight On Me!